Approximately three weeks after its release, the Pioneer AppRadio 4 (SPH-DA120) has received a firmware update from the manufacturer. The latest firmware version 1.07 brings a few fixes to the devices. The update process is similar to that found on Pioneer's NEX receivers. We would like to inform you of the availability of a firmware update (version 1.07) related to Apple CarPlay™ for Pioneer AppRadio 4 (SPH-DA120) smartphone receivers. 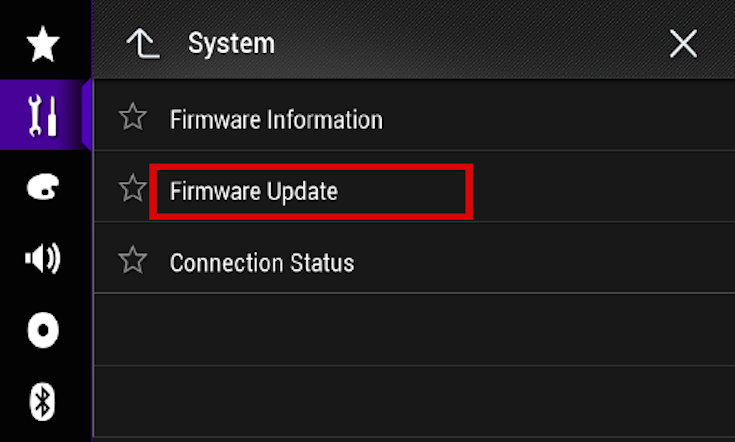 This firmware update should be applied only to AppRadio 4 (SPH-DA120) units sold in the United States and Canada. Installation on any other product could cause irreversible damage. Steps to install the firmware are attached. Installation of the update should take no more than ten minutes to complete. If you have any questions, please contact Pioneer Customer Service toll free at 1-800-421-1404, Monday through Friday, 10:30 AM - 2:30 PM and 3:30 PM - 7:00 PM (Eastern Time), excluding holidays, or by email through parts.pioneerelectronics.com/contact. Complete detailed instructions are available from Pioneer. Visit this link to view the PDF file. About to apply this update - any more info on what it includes other than 'bug fixes'?